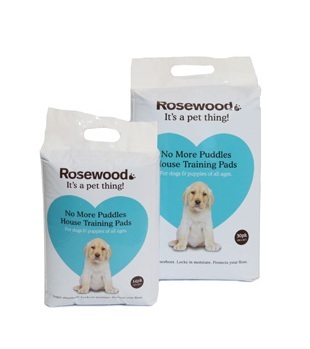 Rosewood No More Puddles Puppy Training Pads are an ideal product for house training young dogs and puppies, or at any age when you need some piece of mind. Each absorbent pad helps to protect internal floors by locking in moisture. There are currently no questions for Rosewood No More Puddles Puppy Training Pads - be the first to ask one!